Welcome to another year on Beer O'Clock Australia! 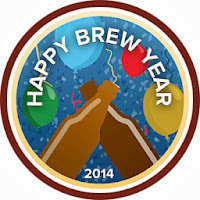 I hope everyone had a safe New Years Break, filled with many delicious brews. The beer I'm reviewing today is one of my favourite go to beers and one I've been meaning to review for a long time; Oakham Citra. 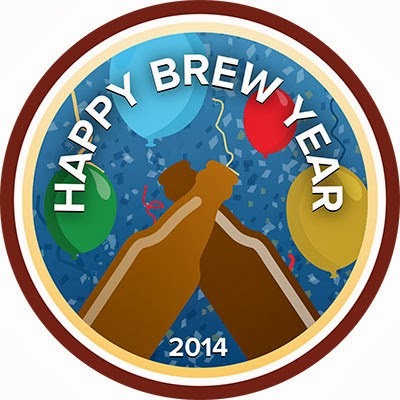 This was badge was never going to be an issue, to get Happy Brew Year (2014) all you had to do was have 1 beer on New Years Eve or New Years Day (it's safe to say I had more than that!). I actually had this beer on the walk to Parny's for our New Years Party so this photo came from searching my Untappd backlog. It's fair to say that the appearance of this beer isn't typical. The body of the beer is very light and slightly murky. There is a small white head of relatively large bubbles which is gone before you know it, making taking pictures quite hard according to my Untappd attempts... As such there is no lacing of note. But despite all of these things that I would usually consider to be negative to a beers appearance, I actually think this works. 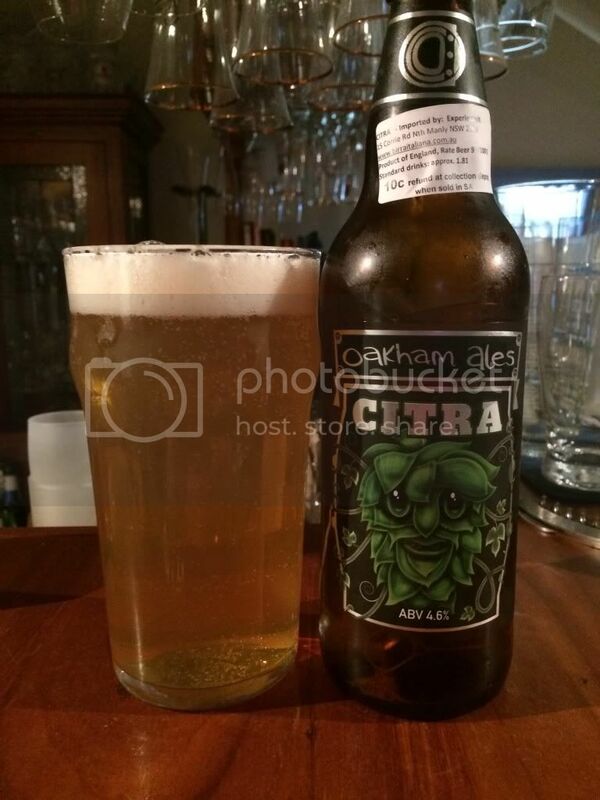 Oakham Citra has one of the most delightful noses of any beer I can think of! The bottle claims "pungent grapefruit, lychee and gooseberry aromas", I've certainly noticed the grapefruit and lychee in my time but never gooseberry. Trust me guys, this beer is worth buying almost for the nose alone. The flavour is very refreshing. Very light malts are balanced nicely by bitter citrus flavours from the Citra hops. The mouthfeel is light, without being too light, and there is moderate spritzy carbonation. For a low(ish) ABV beer there is alot of hop presence! This would be the best session beer! I could sum up Oakham Citra in one word; Delicious! I love this beer! It's a single hop beer using one of my favourite hops and it showcases it brilliantly! It's one of the most sessionable beers I can think of at the moment. This beer is popping up sporadically at Dan's now, so availability is becoming better. If you see it do yourself a favour and pick it up, it won't disappoint!